Dulce Salazar was last seen by her family when she left home on Corwin Drive on foot around 7 p.m. on Tuesday. SILVER SPRING, Md. 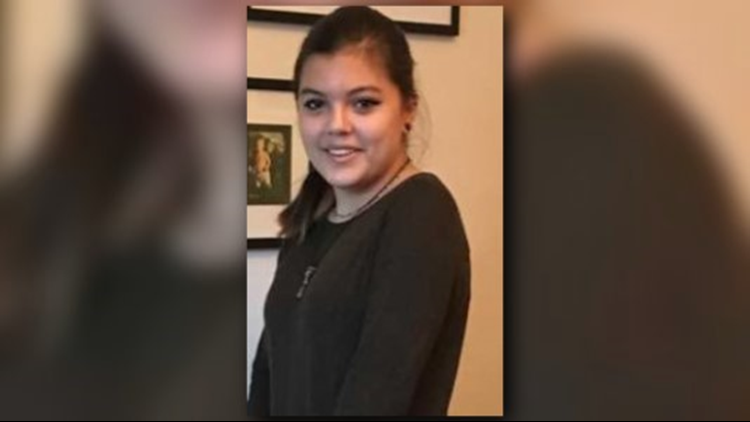 -- Police need your help locating a missing 14-year-old girl from Silver Spring, Maryland. She is described as a Hispanic female, 5-feet-2-inches tall and weighing 154 pounds. She has brown eyes and brown hair. She was wearing a maroon hoodie with blue or white letters written on it, dark gray sweatpants and gray Nike tennis shoes. Salazar may be carrying a purple backpack. She is known to frequent the Woodside Skatepark located at 8818 Georgia Avenue in Silver Spring and the Takoma Park Skatepark located at 15 Darwin Avenue in Takoma Park. Police and family are concerned for Dulce Salazar’s welfare. Anyone who has information regarding the whereabouts of Dulce Salazar is asked to call the Montgomery County Police Special Victims Investigations Division at 240-773-5400 or the police non-emergency number at 301-279-8000 (24 hours).